Pissed off the IT guy, and he said he was going to give me a black eye... and I laughed. Looks like he put me in my place. 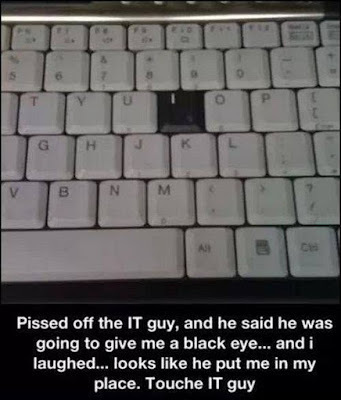 Touche IT guy.